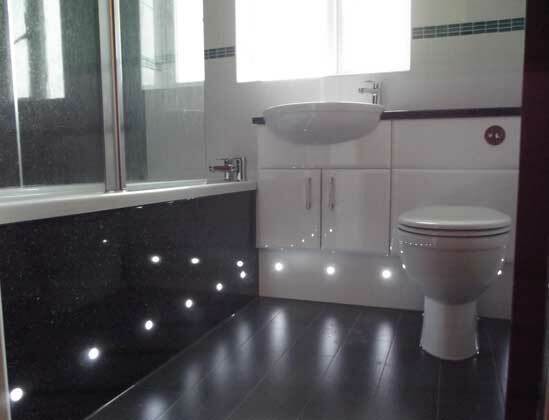 Get the most from your space with our bathroom design service and trust our experienced tradesmen. A full range of kitchen appliances are also available from leading brands at very competitive prices. 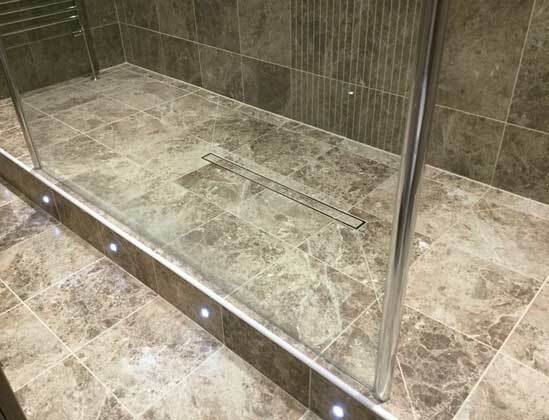 A Wetroom creates a contemporary look which can transform your bathroom into a stylish, luxurious space. 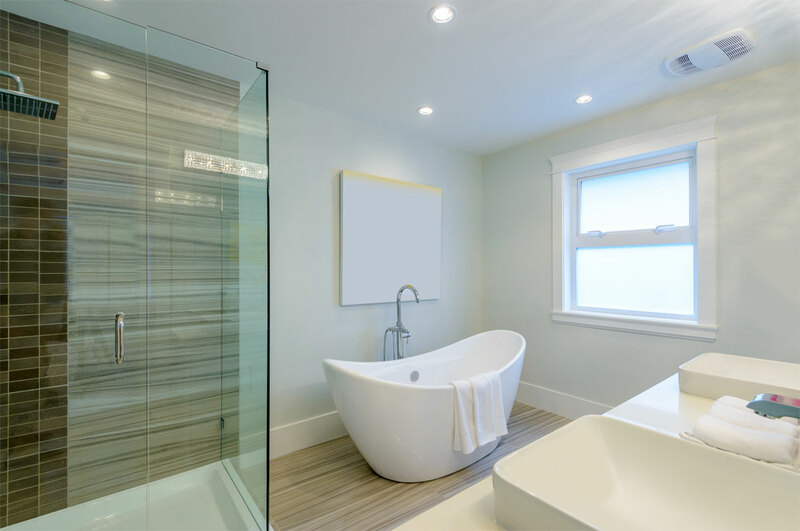 Bikini Bathrooms offers a cost effective solution to help resolve such problems on behalf of installers or customers, preferably both. Bikini Bathrooms were brilliant all the way through the journey of deciding what to have in our new shower room. Endless patience, and helpful advice....it made something I had dreaded, into a very positive experience. Special thanks to Gavin and Anne, and to Andy Earney for his great workmanship, fun and tidiness!!! I would recommend your service to anyone. Many thanks! Had my master bathroom completely redesigned and furnished by Bikini bathrooms. I am over the moon. Anne and her staff were so helpful in helping me pick fixtures and fittings. Andy F the fitter was perfect. 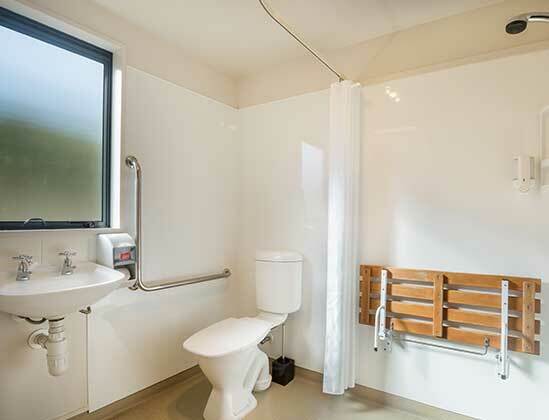 He explained how we could redesign our bathroom around to maximise space. Nothing was too much trouble. His workmanship is the best I have seen. Not one fault. Impeccably neat and tidy. I am so impressed that now I am having my ensuite and cloakroom done. Highly recommend to everyone. Thank you Bikini Bathrooms. 15 yr old en-suite refurbished Aug 2017 Everyone I dealt with at Bikini Bathrooms was professional, friendly and helpful. Ann's knowledge of which colours of tiles and furniture complimented each other was really helpful, it all looks fabulous! The fitting by Andy of A & E Installations was first class, all of his recommendations on the best use of the space were spot on. Everyone turned up when they were supposed to and all was left tidy at the end of each day. Dear Sirs, You installed a new bathroom for us last week. The result is perfect, the materials and installation are first class. A special mention to Andy Fritchley who carried out the fitting ideally. With our best wishes. 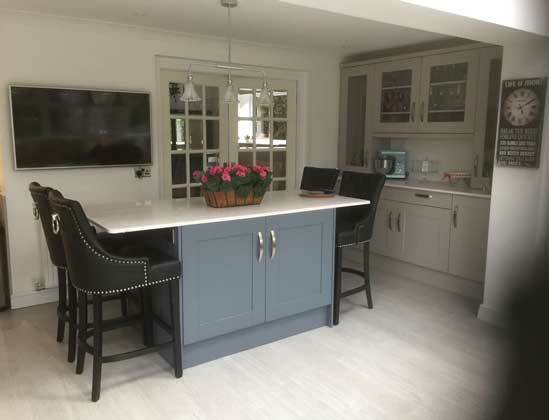 We are a family run business who have been involved in designing and installing kitchens and bathrooms for almost 30 years.